Obituary for Mark G. Wittman | Lynch-Green Funeral Home, Inc.
Mark G. Wittman, 62, of 131 Scotland Street, Dagus Mines, died unexpectedly on Thursday, March 21, 2019 at his home. He was born on October 7, 1956, in St. Marys, a son of the late Edwin and Alice Stauffer Wittman. He graduated from Lock Haven University where he was also a proud member of the Phi Mu Delta Fraternity. He is survived by one daughter; Rebecca Rodgers and her husband Dane of Pittsburgh, a brother; James Wittman of St. Louis, by a sister; Janice Roan and her husband Russ of Lock Haven, and by several nieces and nephews. Witty was a lifelong resident of the area and a member of St. Boniface Church. He recently retired from Clarion Sintered Metals after many years of service. He was a member of the K of C, the Fox Twp. Firemens, and the Dagus Mines Legion. In addition to his parents, he was preceded in death by a sister, Mary Lou Wittman, and by a brother, Robert Wittman. 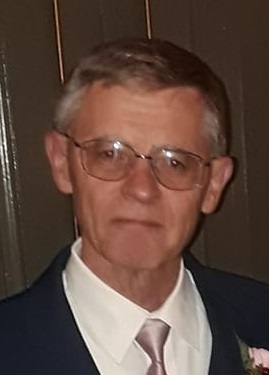 A Mass of Christian Burial for Mark G. Wittman will be celebrated on Saturday, March 30, 2019, at 11:00 AM at St. Boniface Church, 355 Main Street, Kersey, PA 15846 with Rev. Ross Miceli, Pastor, officiating. Friends and family will be received at the Church from 10:00 AM until the time of the service. Interment will follow in the St. Boniface Cemetery. Memorial Contributions may be made to the St. Boniface Church.